Pacman or your PACkage MANager is going to get its packages from different servers over the world. Depending where you live you select the servers that our near to you in distance BUT they may not be the fastest. Or you use our alias “mirror” and let the application “reflector” test what servers are the fastest in your part of the world. I point you first to the Arch Wiki and let you read this article about mirror and this article about reflector. You will learn that the mirrorlist is coming in via a package named pacman-mirrorlist. But it is NOT, because you get an update in, that you are using the latest mirrors from that package! We will show what you need to do (if you want to use the latest mirrorlist). 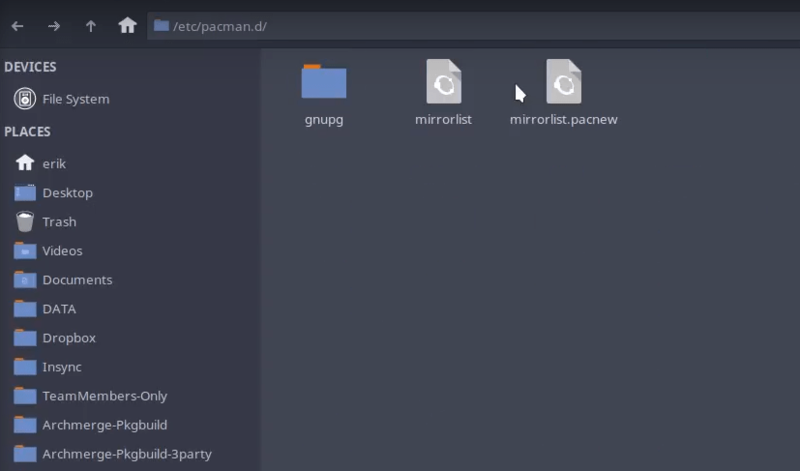 After the update you will now have two files in /etc/pacman.d folder. It is up to us to do something with it or not. On ArcoLinux we use an alias called “mirror” and we are using our own mirrorlist that is created by reflector. 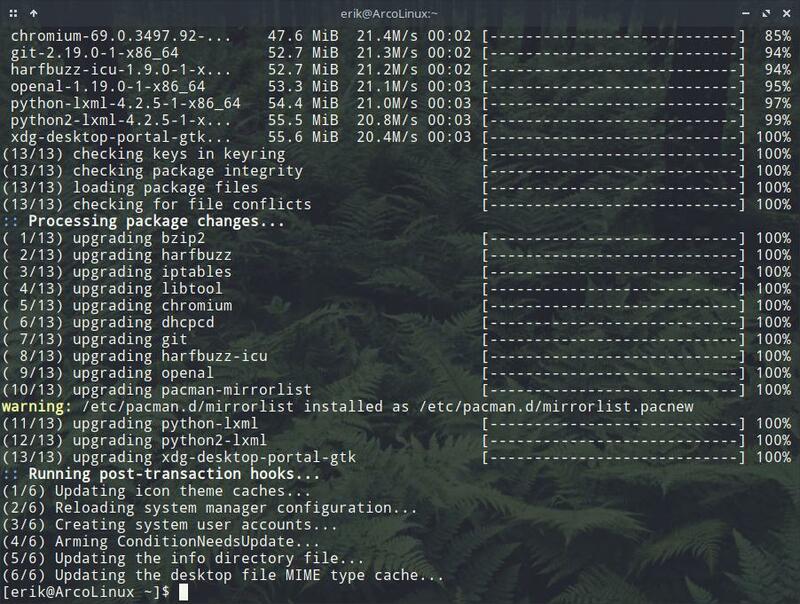 We check what comes in with the update mirrorlist.pacnew. And we could use this list of servers for our pacman. We are adding the servers that are the closest to Belgium. But it does not mean they will be the “best”. Mirrorlist is the file that pacman will use NOT mirrorlist.pacnew. We try different servers to see what happens. I will keep using mirror or reflector to update my Arch Linux Servers or the mirrorlist.